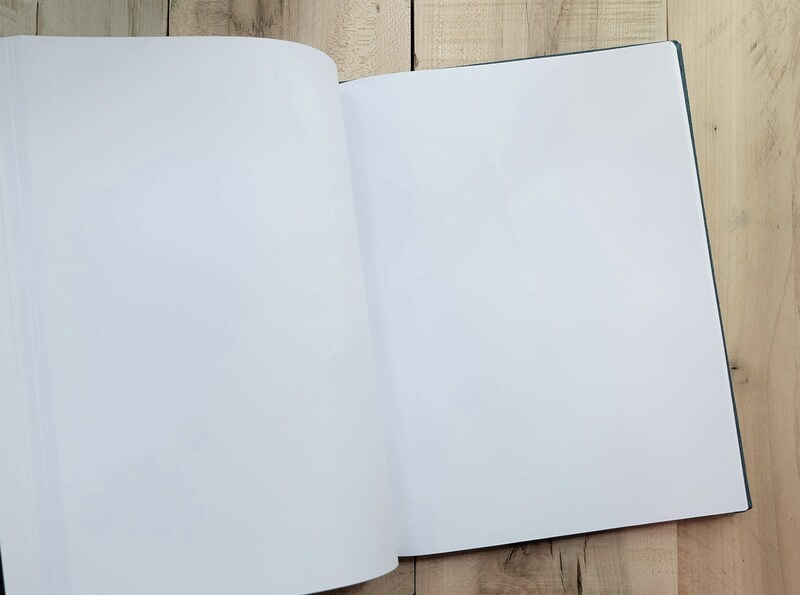 This hardcover sketchbook gives you 220 pages made of 80 lb white paper, which offers excellent tooth for all dry media techniques or a select as a journal with 288 lined pages, with 70 lb text weight in paper from Italy. 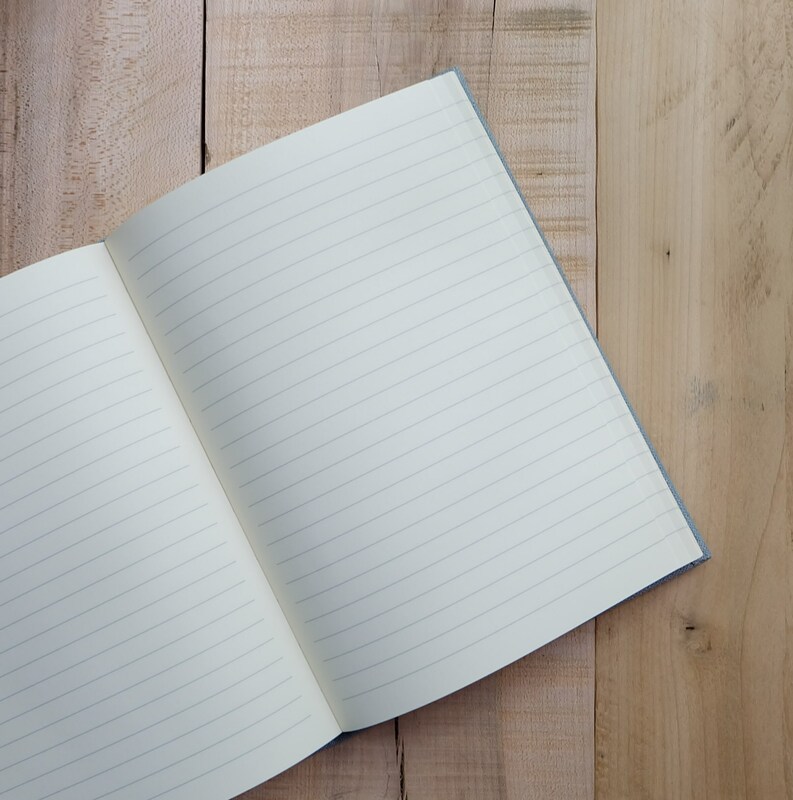 Plenty of space for every moment you want to capture. 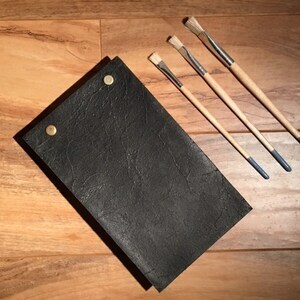 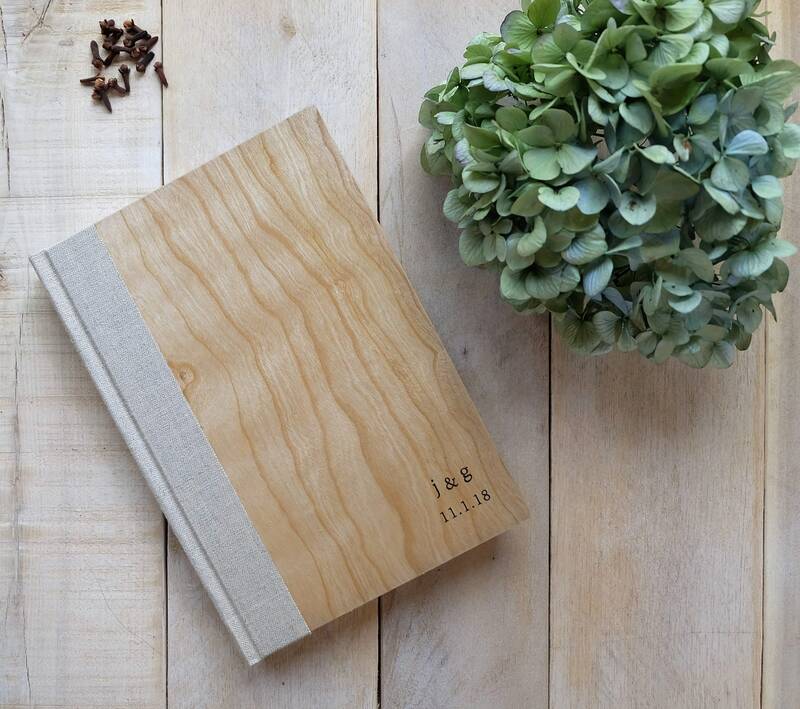 This natural Cherry wood covered sketchbook is the classic to carry when you want to make a good first impression. 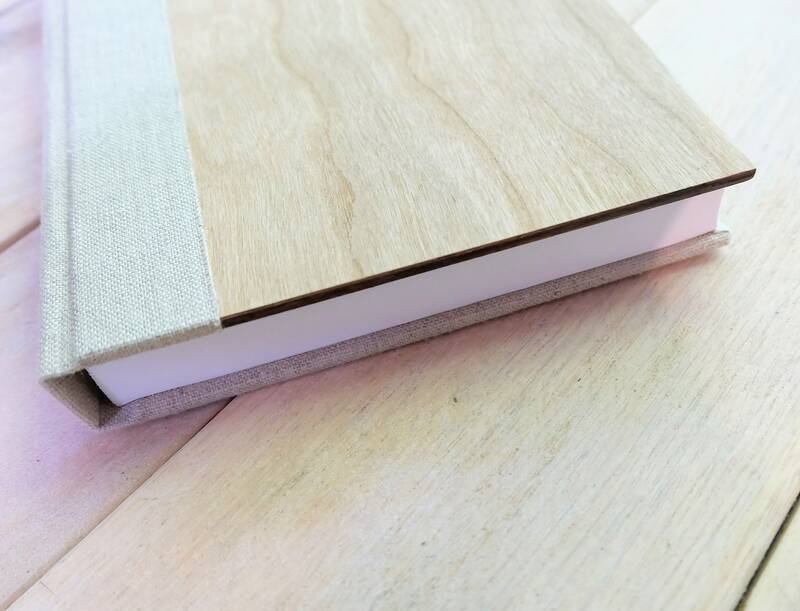 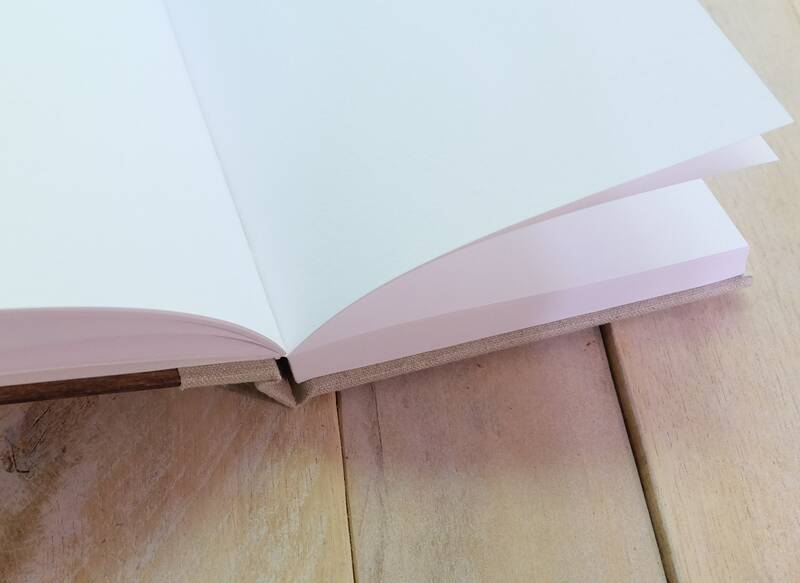 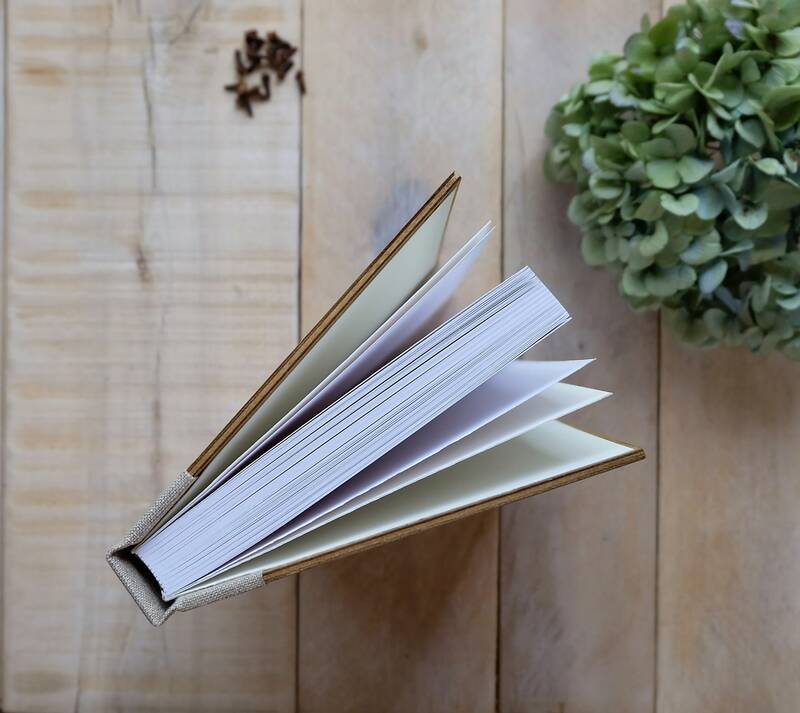 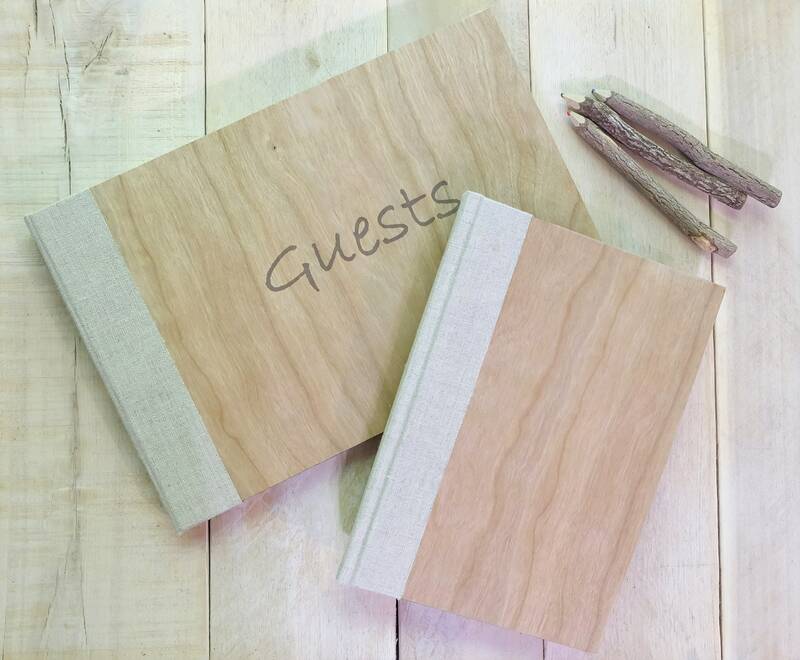 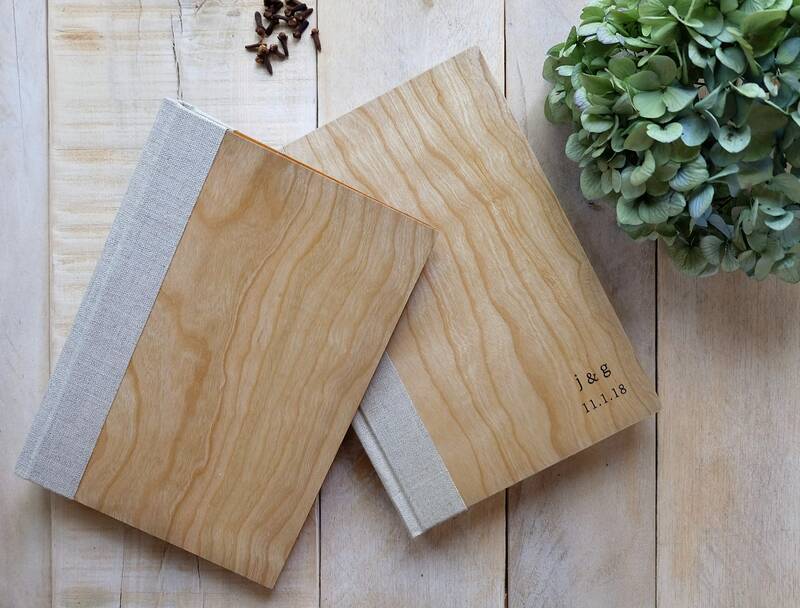 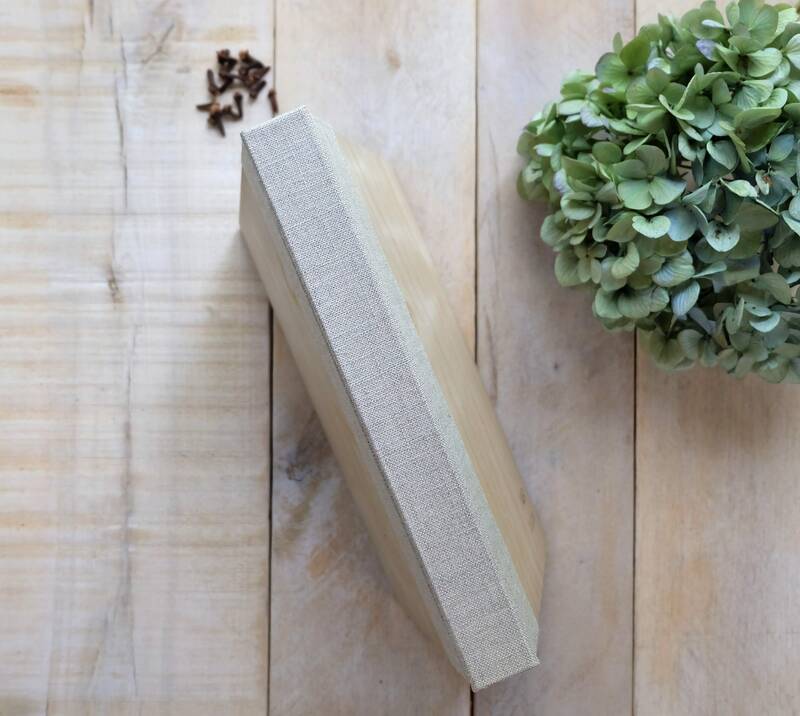 Natural linen spine detail this hand-crafted sketchbook with gorgeous, real cherry wood grain. 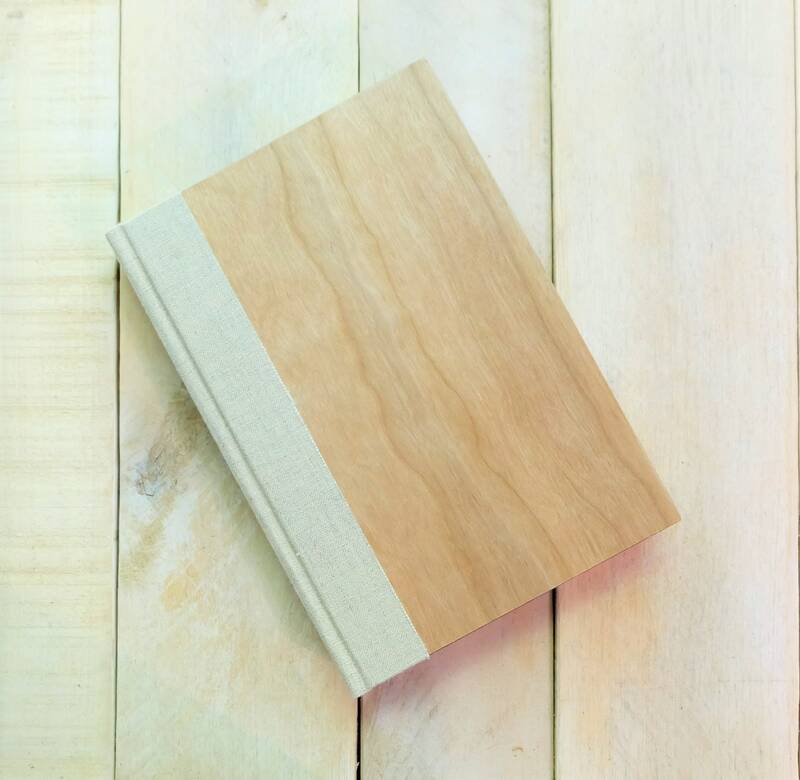 No two are alike, as the wood grain varies from book to book. 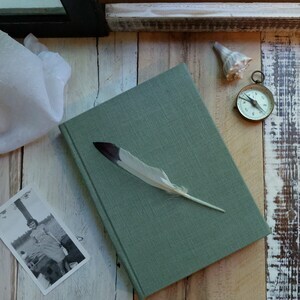 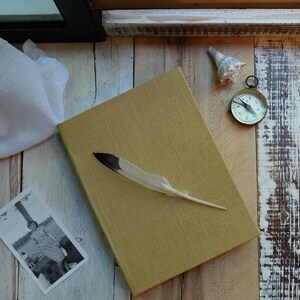 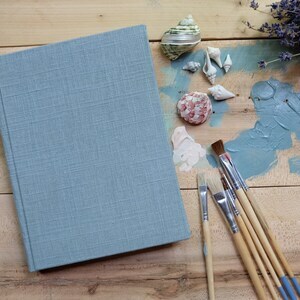 These beautiful and practical handcrafted journals and sketchbooks are made from our natural linen fabrics, and paper of the highest standards.